Meta data is an important part of your SEO strategy. This information describes your content to the search engine. It is also crucial for achieving a higher CTR from the search results pages. For all these reasons, you need to take special care of the meta information. Luckily, there is a dedicated WordPress plugin which helps you manage all the meta information and images in an easy way. I am talking about WP Meta SEO. In today’s post, I am going to take an in-depth look at this excellent plugin and find out all the useful features for you. Without further ado, let’s get started. As the title suggests, WP Meta SEO plugin offers all the meta tag management features you need to ensure the best search engine ranking for your content. The dedicated content meta section will help you get a quick overview of the meta title and meta description of your posts and pages. The plugin comes with advanced image optimization features. The image information section offers a complete overview of the images used in your content. You can define the name, alt text, title, description, etc. from one location, which is a huge time-saver. 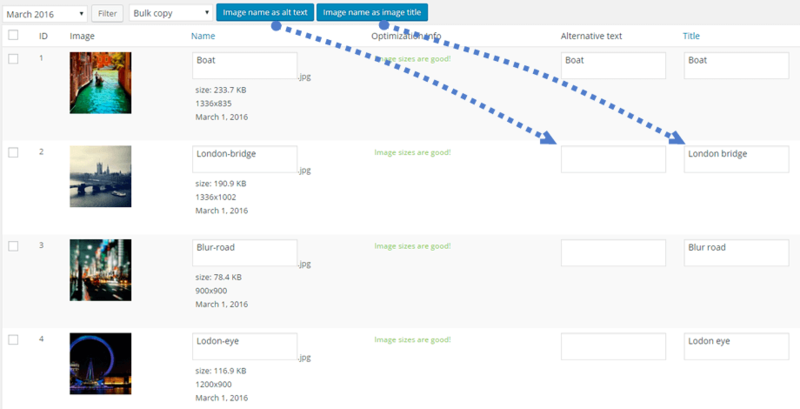 What’s more, the plugin will automatically detect the wrong image resizing and missing alt or title tags of your images. These are vital points to ensure the best performance of your website. WP Meta SEO also features powerful 404 detection and redirection features. It will provide a list of all the broken links on your website in one page. If you get the premium add-on, you can collect and redirect the incoming broken links which are indexed by Google. When using WP Meta SEO, you won’t have to worry about generating and submitting the sitemap of your website. The plugin will automatically create the HTML and XML versions of your sitemap, update these based on your chosen frequency, and submit the sitemap to search engines. Intuitive Google Analytics integration is another very special feature of WP Meta SEO. This feature provides an easy way to connect Google Analytics to your website and check out the relevant statistics without leaving the site. If you have purchased the premium add-on, you can receive a concise email report containing all the important websites updates and selected Google Analytics data. The powerful WP Meta SEO plugin comes with all the necessary options to handle the meta information of your WordPress site. Let’s find out what you can do with this plugin. WP Meta SEO plugin comes with lots of meta content management options. First of all, you will find a new page optimization section in the post editor. There are two separate fields to define the search engine title and description for the post. Thanks to the results preview feature, you can check out how these will look on the search results page. At the bottom, there is a checklist to show which on-page performance issues you have addressed and which you haven’t. The plugin will also show a rating based on the optimization status of the post. Press the ‘Reload analysis’ button once you have made the necessary changes. Your aim should be to score the highest percentage here. The ‘Social for search engine’ tab includes separate fields for providing the title, description, and image for Facebook and Twitter. What’s more, WP Meta SEO offers a unique way to bulk-edit the meta titles and descriptions of your content from one place. Go to WP Meta SEO > Content meta from your dashboard to find out the content list. You can filter the content by posts or pages. There is also a dedicated button to set the content title as the meta title. Optimizing images is a crucial part of your SEO strategy. The default image resizing method loads the original image and then shows it in smaller resolutions. This is not the best approach regarding website performance and image quality. WP Meta SEO comes with an excellent solution to handle this problem. Go to WP Meta SEO > Image information to find a list of the images used in all the content of your website. For the problematic images, you will find alerts about the missing title, alt text, and the wrong sizes. There are dedicated buttons for addressing these issues. Even if the image is used in multiple pieces of content, you will find separate option to correct the errors in the specific content. The plugin makes it easy to rename the image(s) and define the alt tags and titles. You can do that from the ‘Image information’ page. It is possible to filter the images by the upload month. For each image, you can define the name, alt text, title, legend, and description. There are separate buttons for using the image name as the alt and title of the image. You can apply these actions to multiple images at once by selecting the relevant images. Sitemaps play a crucial role in making sure that all the posts and pages of your website are being discovered by the search engines. This could be useful when you have a large website or a complex navigation system. 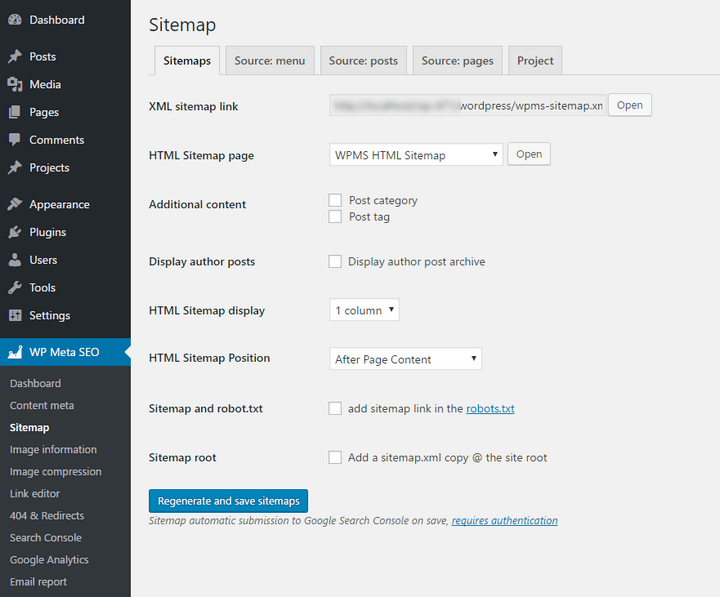 Go to WP Meta SEO > Sitemap to configure the sitemap options of your website. The ‘Sitemaps’ section allows you to check out both the XML and HTML versions of your sitemap. There are several additional options to include the post category, tags, author archives, etc. in the sitemap. You can choose the layout of your sitemap. The available options include 1, 2, and 3-column layouts. The last two options of the section allow you to add a sitemap link in the robots.txt file and add a copy of the sitemap to the root directory of the website. There are separate sections to include or exclude the menu items, pages, post categories, and individual posts in your sitemap. You can choose which column they should be added to, determine the priority, and define the update frequency. The WP Meta SEO plugin features full compatibility with Google Analytics. The setup process is very straightforward. Just go to WP Meta SEO > Google Analytics and click on the ‘Get Access Code’ link. This takes you to a page where you need to allow the plugin to access the analytics data. Copy the code from the following page and paste it into the plugin’s ‘Access Code’ field. Now, pick the profile you want to use and save your choice. The plugin pulls the data from your analytics to create the necessary reports. You can check out the traffic, sessions, page views, bounce rate, location, searches, etc. for real-time, today, yesterday, last 7, 14, 30, 90 days, 1 year, and 3 years. If you want to track the statistics of the downloads, outbound links, and the mailto links, you can enable events tracking from the ‘Tracking Code’ section. It is possible to exclude tracking for different types of users like admin, editor, author, subscriber, etc. You can include the analytics data in your email report. You can choose which view(s) and duration(s) to include in the email. Broken links is a major obstacle in ensuring the perfect user experience. It also makes your website look unprofessional. WP Meta SEO comes with dedicated solutions for easy management of your broken links. Go to WP Meta SEO > 404 & Redirects to find out a list of the links. There are separate options to edit the original link and text, remove the broken link, create custom redirects including 301, 302, 307, or permanent redirects, and use WordPress link manager to replace the link. The plugin also indexes the external links which are generating 404 errors for your website. You will find detailed information including the URL, number of hits, status, etc. It is possible to redirect these external links to custom links. If you have a lot of broken links and don’t have the time to check out all these links, there is a temporary solution for you. Go to WP Meta SEO > Settings and click on the ‘Redirections and 404’ tab. Check the ‘Global home redirect’ box. This will redirect all the 404 errors to the home page. The next option allows you to use the plugin’s default 404 page or define your own 404 page. WP Meta SEO has a premium add-on which offers additional features at a bargain price. Let’s take a look at the add-on features. The premium add-on allows you to send an email report to yourself, the client, the SEO team, or any other person. 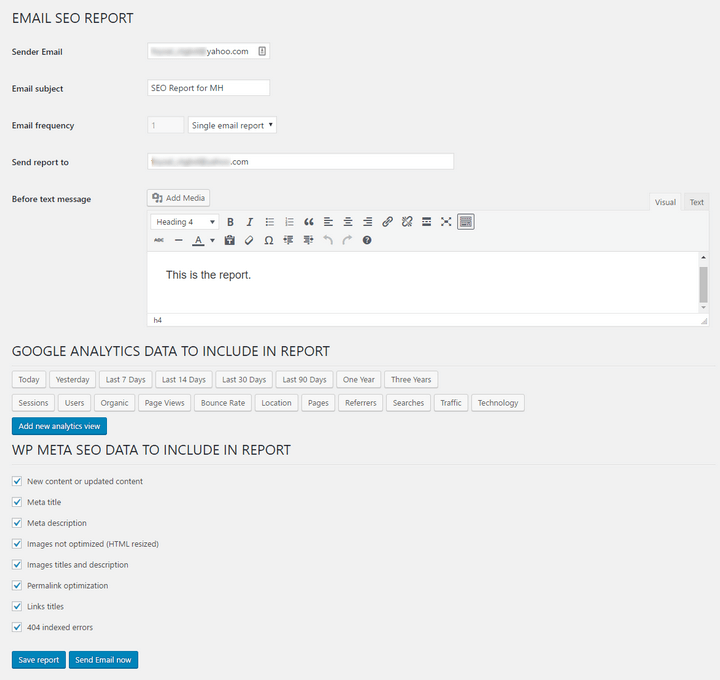 You can configure the report by going to WP Meta SEO > Email report. You can define the sender email, email subject, recipient email address(s), and add custom text before the report. It is also possible to choose the email frequency. The available options include a single report, daily, monthly, or weekly. The next section allows you to add Google Analytics data to your report. You can choose which duration and data type should be included in the report. Lastly, there is another section to include various data like new content, meta title, description, non-optimized images, permalink optimization, 404 error, etc. in the email report. Google search console error fixing is a very impressive feature of the premium add-on. This allows you to fetch and redirect the 404 links which are indexed by Google. At this point, you will be provided with a list of the current 404 errors which are indexed by Google. For each link, you can create a redirect, check out the link, and mark the error as fixed. The free version of the plugin supports only the menu items, posts, and pages. But the premium add-on supports custom post types. This could be very useful when you use custom post types provided by various themes and third-party plugins. 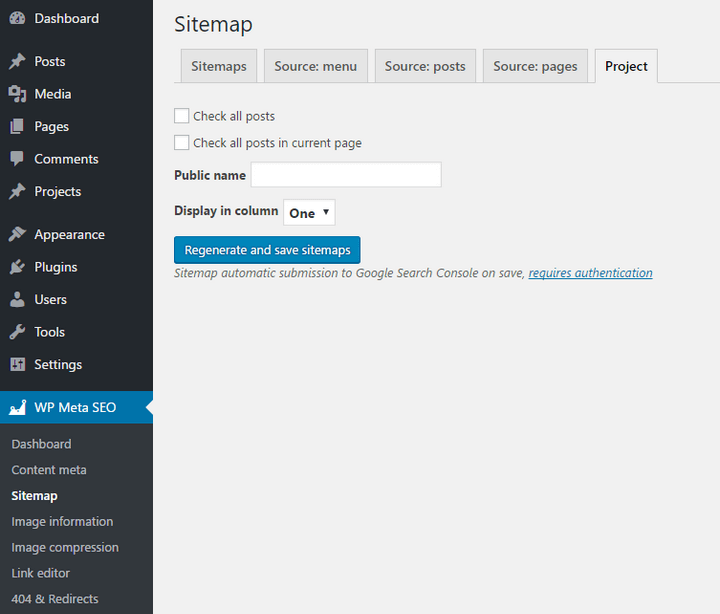 There will be a new tab for each post type at the WP Meta SEO > Sitemap page. You can choose to include all posts or selected posts into the sitemap and define which column they should be included to. Another benefit of the premium add-on is the automatic submission of the sitemap to Google. Provided that you have authorized the SEO plugin to access your Google account, clicking the ‘Regenerate and save sitemaps’ button will generate a fresh copy of the sitemap and submit it to Google. Other features of the premium add-on include the automatic 404 error check. This will run the error check on auto-pilot and provide a detailed report about the existing error(s). How to Use WP Meta SEO? Now that you know which features the WP Meta SEO plugin offers, this is the perfect time to find out how to use the plugin. Follow the steps provided below to get started with WP Meta SEO. Step 1 – Log into the admin section of your website. Go to Plugins > Add New. Step 3 – Click ‘Activate’ to activate the plugin. Step 4 – Go to JoomUnited and purchase the premium add-on. 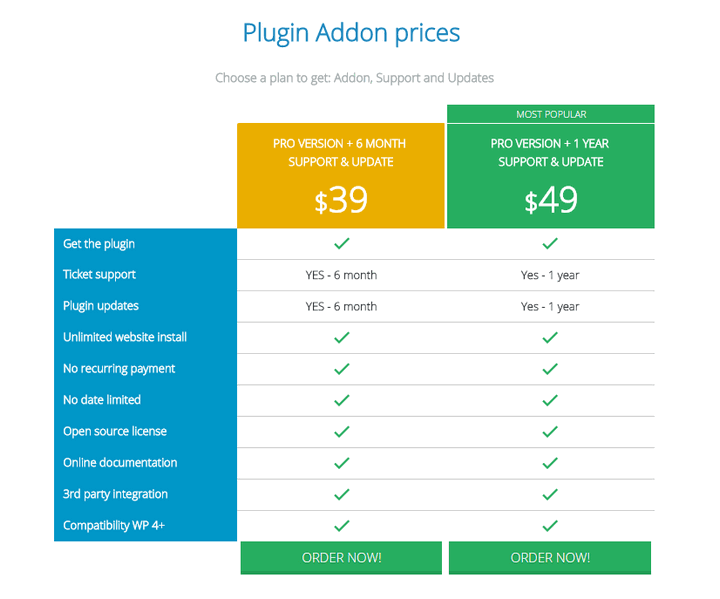 Download, install, and activate the add-on on your WordPress site. Step 5 – At this point, you will find a new menu item titled ‘WP Meta SEO’ on your website dashboard. Step 6 – Go to WP Meta SEO > Dashboard to check out the overall SEO condition of your contents. Check out the other sub-menu items to use various features like content meta, sitemap, image optimization, broken links, etc. Step 7 – Go to WP Meta SEO > Settings to configure various settings options of the plugin. Make sure you have clicked the ‘Save Changes’ button after making the changes. Priced at $39, the first plan offers all the premium features, support, and update for 6 months. Priced at $49, the second plan offers all the premium features, support, and update for a year. WP Meta SEO is a specialized plugin for taking care of the meta content and images of your website. As I have shown in the review, the plugin does its job in an excellent way. You get simple ways to manage, edit, and update all this information from one place. The plugin also comes with several other options to enhance your website’s user experience and search engine ranking. So, what do you think about WP Meta SEO plugin? Let me know in the comments below.